Stephanie and I had met a few days earlier at my neighbor’s yard sale. Listening to her talk of this adventure and great vision, drew my attention and interest quickly. Two days later, we were sitting across the table from Richard Hackett, with his wife Stephanie, as they explained Sea Mercy. My husband suddenly asked, “Would you need Grace on your Trial Run rotation?” With his mouth open in surprise, Rich replied, “Why yes!” That was the beginning of our partnership with Sea Mercy. Already committed to another mission trip, I would be leaving for Guatemala in 10 days, Rich and his family would be leaving for Tonga at that same time. Quickly, Rich told me his vision, how it began and where he hopes it will go. I would have six days between Guatemala and Tonga. Could I be ready? After some serious prayer and council, my husband and I decided it was right for me to go, offering my medical experience but also my mission trip experience. Tonga would be my seventeenth mission trip to various places around the world. At least three of the trips were on the ‘ground floor’, where I was a part of the ‘scout’ team. I was happy to offer any help asked of me. From the very beginning, this trip was different, but in many ways it was the same as my other mission trips. The basic vision and goal is to serve people who would possibly not be served with healthcare opportunities. 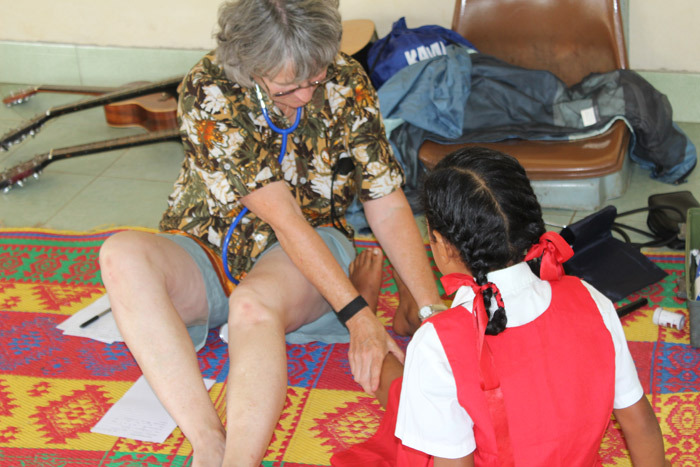 This trip, however, had the added twist of being in the middle of the South Pacific Ocean and living aboard a catamaran, sailing from island to island, setting up a mobile day clinic. Serving along side the Tongan Health Ministry Team from Vava’u was a privilege I had not expected. Seeing the passion and compassion of the Team as they treated each person who attended our clinic, my heart was deeply touched. The fact that the Team recognized most of the people was even more amazing. “We are all related”, they told me. One big happy family - literally. Since returning home, people have asked if I would return to Tonga. How could I not want to reunite with these warm hearted people? From the smallest village of 28, to the largest of 280, it was evident that had we not provided them with this opportunity for health care, their lives would be much different. 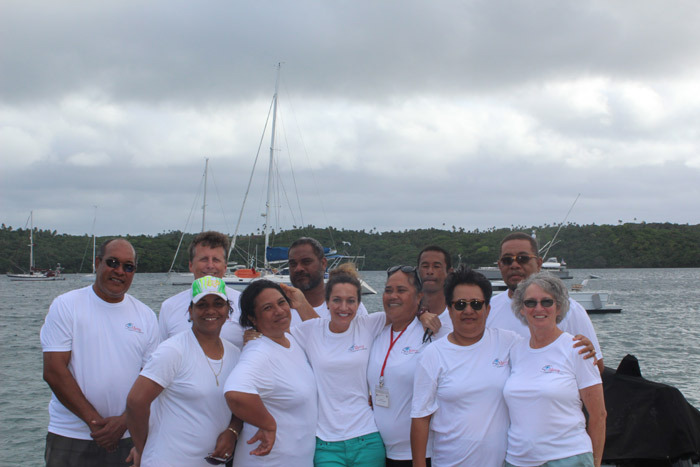 Sea Mercy has a vision of providing consistent, quality healthcare between April and the end of October annually just before the cyclone season returns, to the remote islands of the South Pacific. Many of these villages only have access to healthcare sporadically due to logistics and cost. 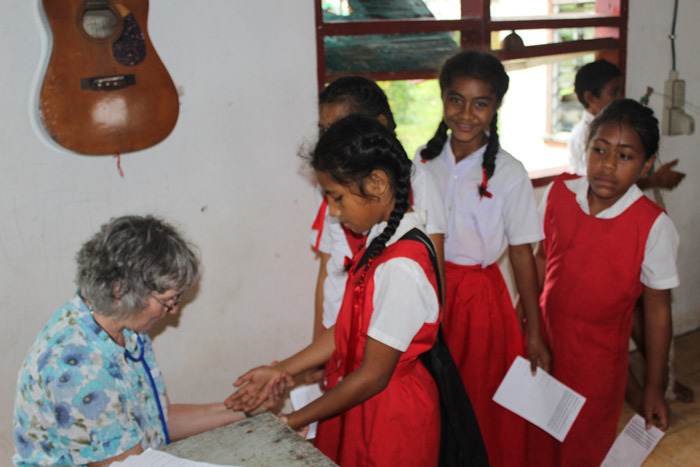 Seeing how other nations are helping educate and raise the standard of living in Tonga by providing solar panels or business opportunities, I am proud to have been a part of this mission trip; knowing we Americans are also willing and able to help those in need, in far away places around the world. For anyone having a heart for adventure and service, this mission trip is definitely for you.